Mother’s Day is in May, so whenever that month rolls around, it’s time to start thinking about your mother. While she may tell you she doesn’t want anything for her special day, she deserves at least a little something. Mothers are notorious for not caring for themselves so it’s normal for them to act like they don’t need or want anything. Deep down inside she will love it, even if she doesn’t admit it. Since mothers don’t usually voice what they want and need, it can be difficult to find the right gift. The following are some of the best gifts you can give to mom. It doesn’t have to be expensive jewelry. A meaningful piece of jewelry is much more important than how much it cost. Look for something with your birthstone or the birthstone of you and your siblings. If possible, have it engraved with your name. She will love it. There may also be some happy tears, so be ready. You can do this the old fashion way by printing out photos and placing them on card stock to create a nice book, or you can also do it digitally. You can use all of those photos you have on your phone, computer or on the cloud to create meaningful pages about how much you love your mom. Many sites online have programs that can be used to create a scrapbook that they will create for you and ship out. A gift basket with a few items in it that she will enjoy is a great present. You can put in some self-care items, a book, and favorite snacks and desserts. Just create a list of the items she loves the most and then put together a basket. Women are usually too busy caring about other people, so they don’t have enough time to take care of themselves. That’s why for Mother’s Day you can make sure she pays attention to herself. Set up a massage, manicure, pedicure, hair, and BOTOX appointment. You may need to take her to a few different places, but she will love spending the day with you while pampering herself. If you like the idea of a spa day with a few different self-care appointments, consider a BOTOX appointment at James Christian Cosmetics. We have locations throughout Manhattan and Long Island, so it makes it very convenient. We also have gift certificates available so you can sneak one into a gift basket or Mother’s Day card. Contact us now by phone or text on our 24/7 Cosmetic Concierge line at 917-860-3113 to book an appointment. 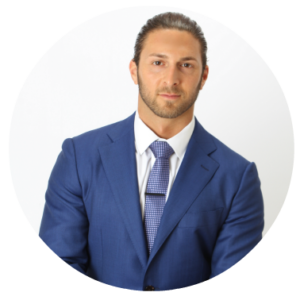 James Christian Sardelli, RPA-C provides aesthetic services to Nassau and Suffolk counties, including Manhattan, Commack, Islip, Westhampton Beach, Rockville Centre, Farmingdale, and Babylon Village, NY.